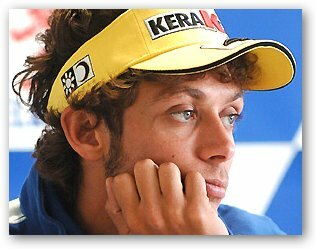 Valentino Rossi (born 16 February 1979) is an Italian professional motorcycle racer and multiple MotoGP World Champion. He is one of the most successful motorcycle racers of all time, with nine Grand Prix World Championships to his name – seven of which are in the premier class. 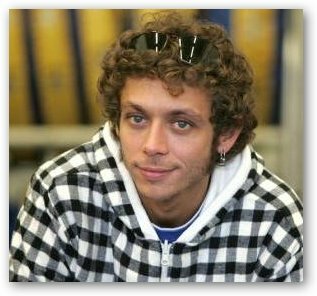 Following his father, Graziano Rossi , Valentino started racing in Grand Prix in 1996 for Aprilia in the 125cc category and won his first World Championship the following year. 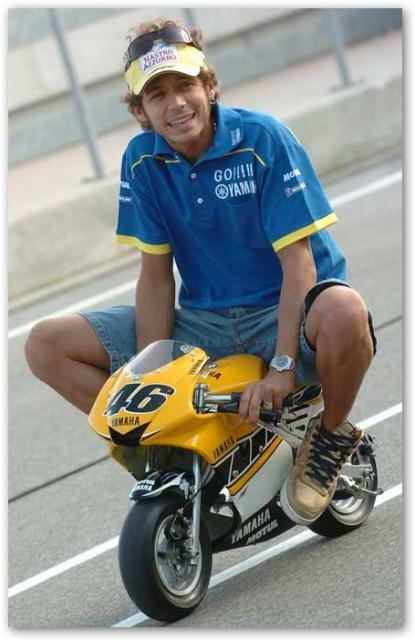 From there, he moved up to the 250cc category with Aprilia and won the 250cc World Championship in 1999. After graduating to the premier class in 2000, he won the 500cc World Championship with Honda in 2001, the MotoGP World Championships (also with Honda ) in 2002 and 2003, and continued his streak of back-to-back championships by winning the 2004 and 2005 titles after leaving Honda to join Yamaha , before regaining the title in 2008 and retaining it in 2009. 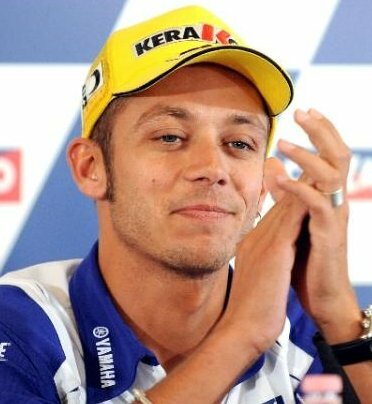 He left Yamaha to join Ducati for the 2011 season, but it was confirmed in 2012 that he would rejoin Yamaha for the 2013 and 2014 seasons. 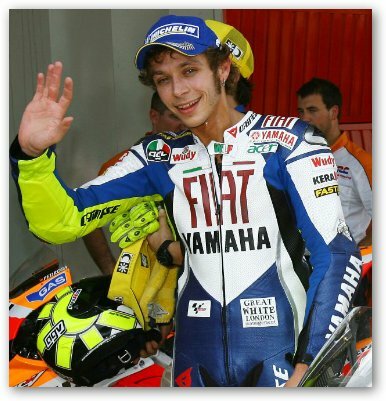 Rossi is first in all time 500 cc/MotoGP race wins standings, with 80 victories, and second in all time overall wins standings with 106 race wins, behind Giacomo Agostini with 122.